Students are required to read at least two books independently each nine weeks. 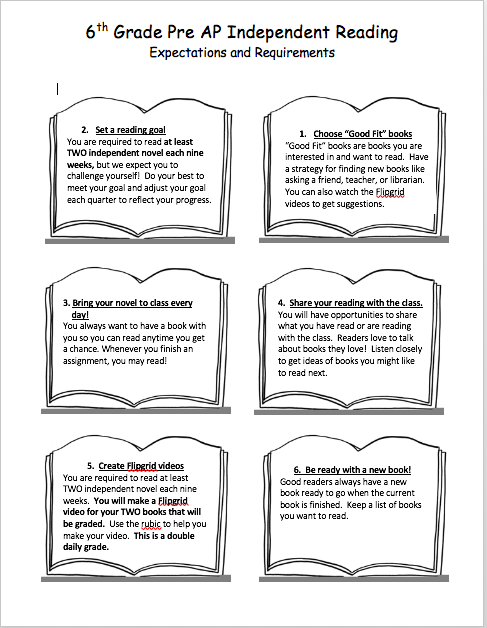 After reading the books, students will make a Flipgrid video about each book. 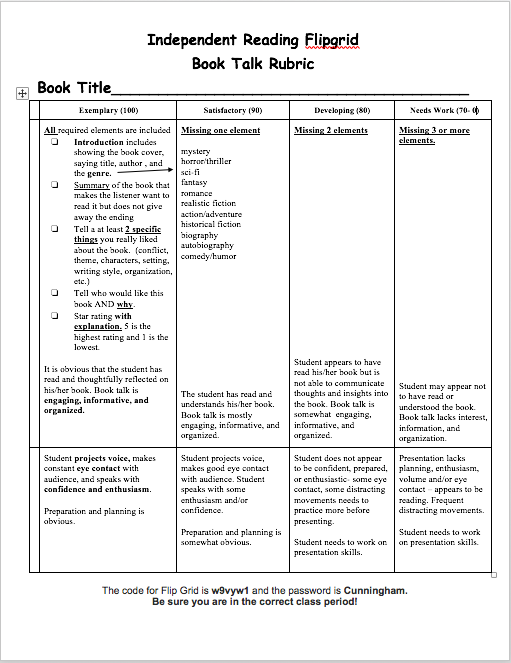 Use the information below to help you with your independent reading assignment. 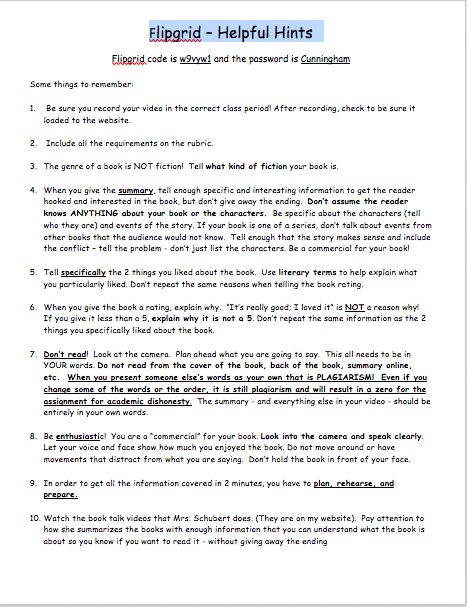 When recording your video, be sure you are in your correct class period. Scroll down to see all the information.